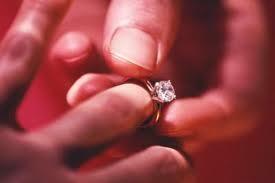 As you plan your wedding reception, there are several items you may decide to use. One item couples choose for their reception is personalized cocktail napkins. The beverage napkins can have your names and the date on them or they can have an image with your initials. Several colors are available for them so you are able to match your wedding colors. Creating your own customized wedding napkins is possible when you use one of the many online sites. The Walmart web site has a selection of 4-inch by 4-inch napkins for your reception. They are sold in sets of 50 and are available in black, ivory, or white. There are two lines of up to 25 characters each for your message. Messages are stamped in gold or silver foil. You can choose from a bells or doves as your design. When you shop on the Amazon web site, you will find a selection of beverage napkins for your special day. One 2-ply variety measures 5-inches square and are available in colors that include peach, black, ivory, shades of pink, shades of blue, and green. Imprint color includes metallic silver, metallic gold, white, teal metallic royal blue, and black. Choose up to three lines of print or two lines of print with an emblem. Emblems include hearts, doves, wedding cakes, and wedding couples. When you order napkins from The Knot Wedding Shop, you are able to choose the color and design. The cocktail napkins are sold in packages of 100 and they measure 5-inches by 5-inches. Color choices include white, ivory, shades of blue, sunflower, pumpkin, shades of pink and purple. You have two lines for text that can be printed in matte or foil. Foil colors include teal, royal blue, pewter, and magenta. Matte colors include red, yellow, sand, black, and indigo. Designs include hearts and doves. The Evavormart web site has cocktail napkins in a variety of colors that you can personalize. You are allowed two rows of text and an emblem for your design. Napkin colors include white, peach, silver, pink, lavender as well as many others. Print colors include white, black, blue, rainbow iridescent, and many others. Choices of emblems include wedding rings, cake, and hearts. You will find 3-ply cocktail napkins that you can personalize on the Guest Book Platters web site. There are 29 napkin colors to choose from that include various shades of pink, blue, green, and purple as well as black and white. You can include two lines of text in ink colors that include blues, pinks, and greens as well as black. One design is a white napkin with pearl hearts or a pearl couple. Other images include several couples and hearts. 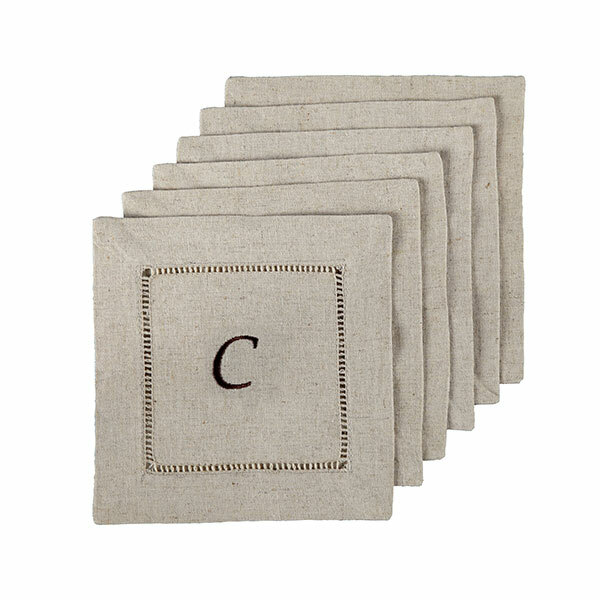 The Pear Tree Greetings web site offers personalized wedding napkins with your monogram. The simple design of the sealed monogram style has an elegant look with your names and the date in the text of your choice. Other options include adding a photo to the napkins. Flourished monogram and sleek monogram are other choices available. 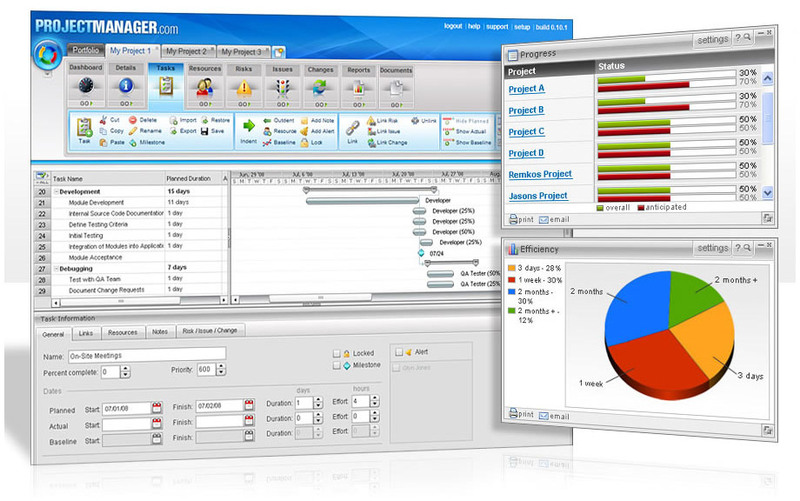 There are more than 70 color options for text and design. On the American Bridal web site you have over 25 napkin colors to choose from that include buttercream, lilac, grape, ivory, mint, aqua, and slate. Matte ink colors include indigo, pink, coral, green, and mulberry. Foil ink colors include teal, kiwi, pink, amber, and violet. You have up to 25 characters for names and 25 more for the date. Finish customizing your napkins with an image that includes hearts, doves, and wedding rings. When you use the Paper Direct web site, you will find foil-stamped napkins to customize for your wedding. The 19 napkin colors include blue, pink, white, black, and green. The 10 foil colors include burgundy, red, sage, white, and blue. Options for symbols include wedding rings, double hearts, and a wedding cake. 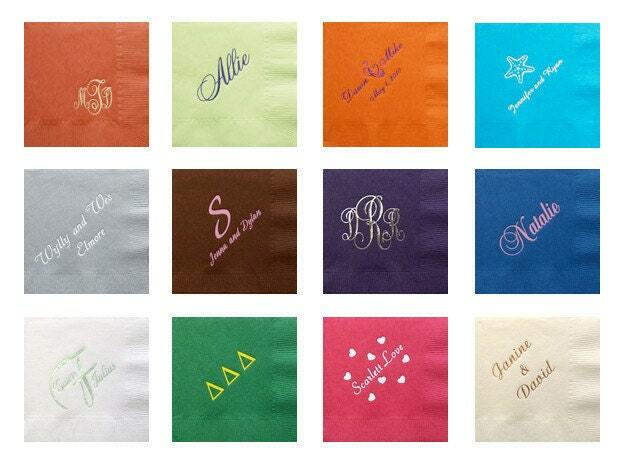 Your napkins will have the colors of your choice, the symbol of your choice, and your names. One wedding napkin design on the Oriental Trading website is a black napkin with names and date printed in white. An image of a wedding cake is centered above your names. Other options include red, white, blue, and ivory napkins with names and the wedding date printed in various colors. You can personalize a red napkin with your names under an image of champagne. 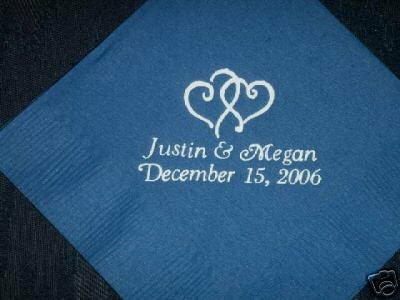 The Wedding Warehouse web site offers a variety of napkins for you to personalize for your reception. The napkin colors include pastel pink, dark pink, paste blue, lilac, sage, and berry. Metallic print colors include fuchsia, blue, green, white, black, and red. Personalize the napkins with your names and date. Designs include a wedding couple, lovebirds, and double hearts.